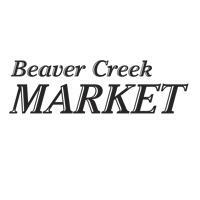 The Beaver Creek Market General Store is located in the St. James Building. Gifts, souvenirs, gourmet foods and groceries, homemade ice cream, smoothies, chocolates and fudge, health and beauty aids, as well as movie rentals, magazines and books for vacation entertainment. Cigars and cigarettes available next door at Market Wine & Spirits. Open 8am-10pm. Coupon Rules: Print as many coupons as you want. Copyright© What to Do 2013. Unless stated coupon offers have no cash value, are subject to change, may have blackout dates, may contain errors & omissions, do not apply to sale items, cannot be used with other special offers or discounts & are one per person (no group orders).Check usage with merchant & present coupon before purchase. Homemade Fudge or Ice Cream for Vacation Treats!